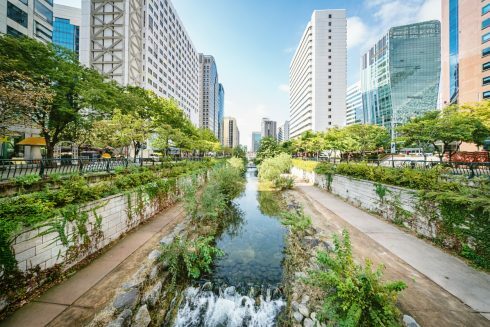 Cities of the future – water wise, resilient, achievable? By 2050 roughly 66 per cent of the world’s population will live in cities. Water is essential for the development and function of cities, but their growth will at the same time increase the pressure on water management systems. So, how can we plan and design cities to be resilient and water wise? Welcome to discuss different ways of working with sustainable urban development and water management in this seminar. Presentation by Kala Vairavamoorthy, Executive Director IWA & Corinne Trommsdorff, Program Manager, Cities of the Future, IWA. Presentation by Panchali Saikia, Programme Officer, SIWI. Presentation by Gustaf Landahl Head of Department, Environment and Health Administration, City of Stockholm. Swedish Water House verkar som en opartisk och obunden plattform för svenska aktörer intresserade av internationella vattenfrågor. Vi skapar mötesplatser för dialog, samarbete och kunskapsutbyte. Vi anordnar seminarier och workshops fokuserat på aktuella vatten- och utvecklingsfrågor. Swedish Water House är en del av Stockholm International Water Institute (SIWI). Glöm inte att följa oss i våra sociala kanaler för de senaste uppdateringarna och nyheterna.